The wait is finally over, the all-new 2017 Infiniti Q60 is finally available at your Park Avenue Infiniti Brossard dealership. 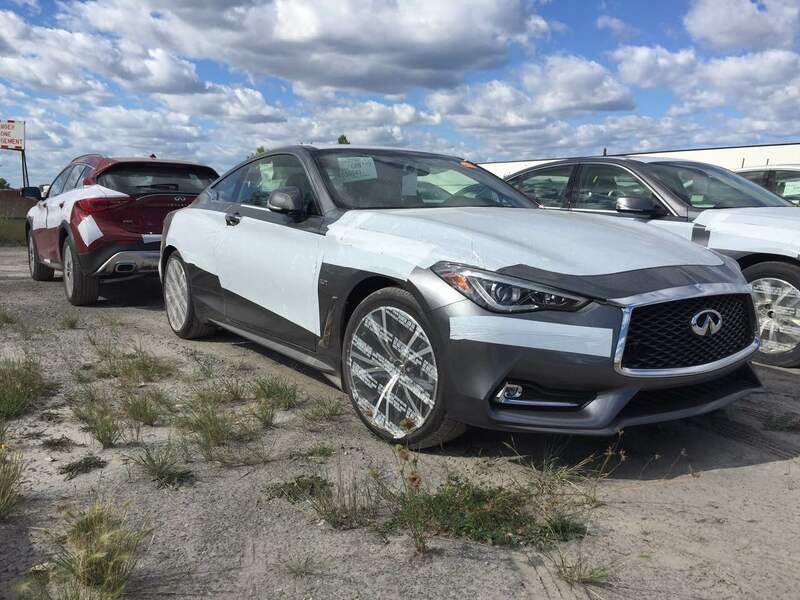 Entirely redesigned for the 2017 year model and boasting a choice of three brand new powertrains, each mroe powerful than the other, the Q60 Coupe makes a shining return just in time for the beautiful sunny days of September. Also known as the G35 and G37, the 2017 Infiniti Q60 Coupe showcases a new particularly ferocious silhouette that perfectly matches its new monstrous engines. More than plain numbers, the 2017 Infiniti Q60 Coupe takes back exactly where its predecessors have left and provides its owners with an intimidating yet impressively refined driving experience thanks to hundreds of performance settings, 336 to be precise. In addition to these are 6 drive modes including Normal, two Sport modes, Eco mode, Snow mode and a Personal mode which allows to to enjoy a bit of each. In any cases, Infiniti’s Intelligent All-Wheel Drive, which comes standard, provides superiro grip on all surfaces all while greatly enhancing driving dynamics. Don’t wait a minute longer, order yours today or contact a specialist from Park Avenue Infiniti Brossard to test drive the all-new 2017 Infiniti Q60.